Yet in many family and consumer sciences (FCS) classes in the United States, once known as "home economics," teachers are instructing students in basics such as how to keep countertops clean or tell a teaspoon from a tablespoon. In 2010, the Healthy Hunger Free Kids Act sought to address the rise of childhood obesity. But despite the renewed interest in showing children how to eat well, FCS classes haven't gained traction along with that movement. 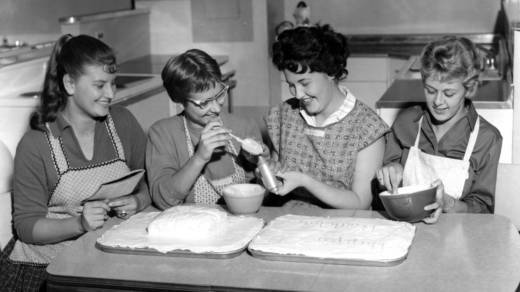 While thinking of domestic labor as less important than professional careers — such as being a lawyer — is its own issue, there were real problems with mid-century home economics courses. There's the memory of girls being sent to learn about childcare and cooking while boys took shop class — all in preparation to take on traditional gender roles in marriage.